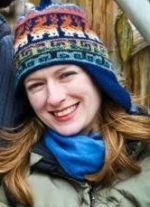 Lindsay Ex, AICP, is a sustainability professional and planner with a decade and a half of experience in municipal, state, and federal governance in Alaska, Utah, and Colorado. Lindsay is passionate about the work that SLA does because it focuses on a positive message for empowering the community to easily incorporate sustainability into our daily lives. In her work with Fort Collins, she leads the implementation of the Climate Action Plan goals, which has engaged over 70 staff members and almost 50 citizens on a regular basis (more info at www.fcgov.com/climateaction). She is also a published author whose research explores how practitioners cross-disciplinary boundaries to achieve better conservation and social outcomes on the ground; she has presented at conferences throughout the US and in Europe on these subjects. She holds a Master of Landscape Architecture and Environmental Planning degree from Utah State University and a Bachelor’s degree in Natural Resources Management from Oregon State University. Most importantly, she is the mom of two amazing toddler girls, and she lives in Laporte with her family and their dog, chickens, and bees.